Sometimes they inspire me, sometimes they gross me out. This one was intriguing to me, I actually said "who even has croissants hanging around for this dish? ", followed by, "what's the fat content of that???". Folks, these are purely rhetorical questions, no need to answer. Interestingly enough, we had an early morning party at work the other day. The organizer did a fantastic job with the menu, all from Costco. We had Chobani yogurts, granola, fresh fruit, flatbread sandwiches, cheesecake (!) and croissants for our early morning work smorgsbord! Yum! Cheesecake at 7am should NOT be discounted... oh yeah, I did it. We had scads of leftover croissants! I mean, really, why stuff a croissant in your pie hole if you can have all the other delights? The gal asked, "what should we do with these?". 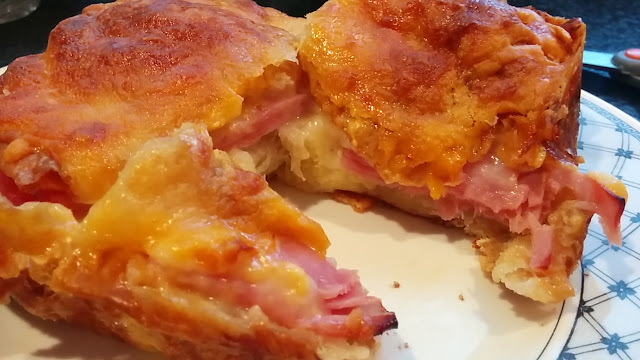 Then it hit me, the silly little video that included ham and cheese layered in croissants, doused with beaten eggs and cream and topped with more cheese then baked to a cheesy delight! Yes! So, of course, I took them for another breakfast meeting the next day (you have to keep your energy up if you're going to build airplanes!) and,.... viola, breakfast party to go! 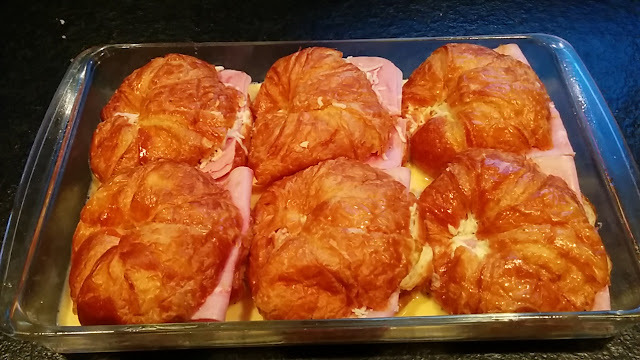 You can make this the night before and let it sit with the beaten eggs on it, it will be good to let the croissants soak up the eggs and cream mixture. Start with a greased 9x13 dish. Cut the croissants in half, add a little schmear of Dijon on one side. Add the ham (I folded mine in half) and then add the cheese. Please each in the dish. Beat the eggs and cream until well mixed, add a bit of salt and pepper. Pour over the croissants. Chill until ready to bake. Bake at 30 minutes at 350 degrees. A nod to the Olympics in Rio with a cocktail! 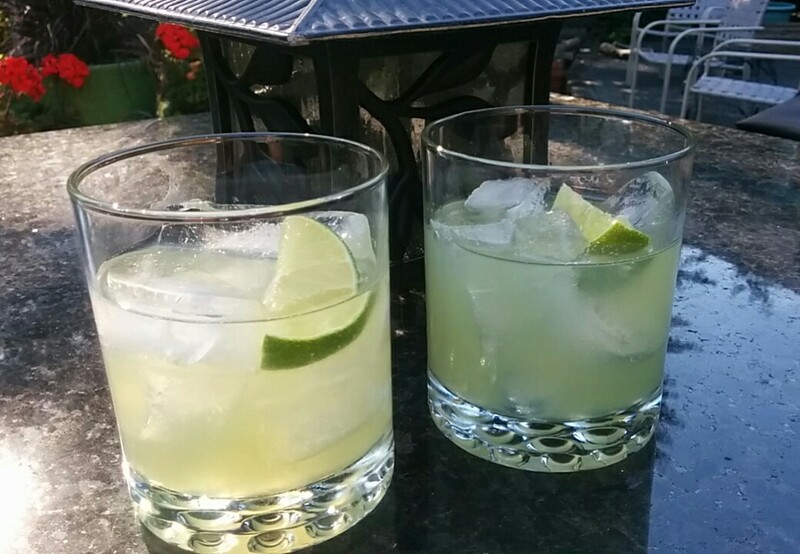 Brazil is well know for a cocktail called the caipirinha made with cachaça. Hmmm, I am fresh out of cachaça. Which happens to be a booze made out of sugar cane juice, sounds nice actually, but hard to find. Therefore, I am making this Caipirissima as it calls for good ole rum which I happen to have plenty of. Part of this traditional cocktail always includes muddling some fruit and limes (always).. We have plenty, plenty, plenty of fresh blackberries right now, so that's what I planned to use... except, I had this honeydew cut up and ready to go, so that's what I used. Feel free to try this same technique with other seasonal fruit. I also think that frozen (and thawed) fruit would work nicely for muddling too! I'd liked it so much I am going to try it with fresh blackberries real soon! Top it off with club soda if you'd like something to sip in larger quantities. 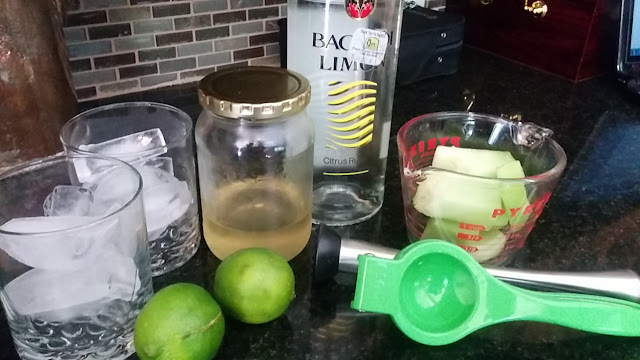 In a cocktail shaker, press and mix the simple syrup, fruit and lime with a muddler or wooden spoon trying to get the maximum of fruit juice out of the fruit. Add the rum and some ice. Shake hard and strain into a rocks glass filled with ice. Garnish with a wedge of lime. 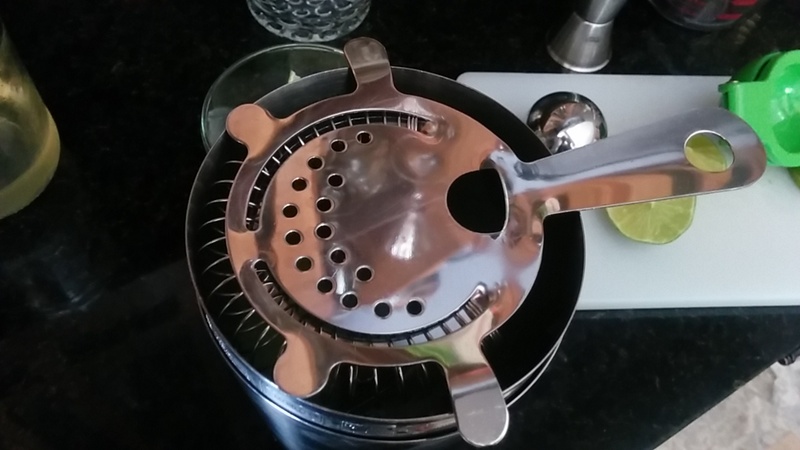 You may need a strainer like this one as the chunks of fruit kind of jam up your regular cocktail shaker. Also, you could easily strain into a martini glass and drink it that way! Need something easy on a lazy Saturday? Or after a hard day at work? 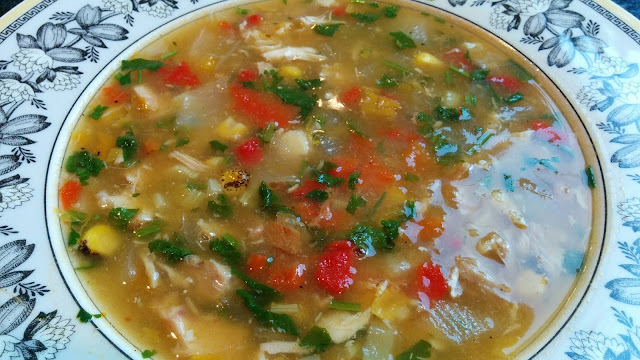 How about an almost instant soup? The other day I made Chili Verde Turkey Meatloaf, but had about 2/3 of a large can of green enchilada sauce leftover in the fridge. If you ever have a partial can, you could also freeze the leftovers in a small plastic container, perfect for a recipe like this. 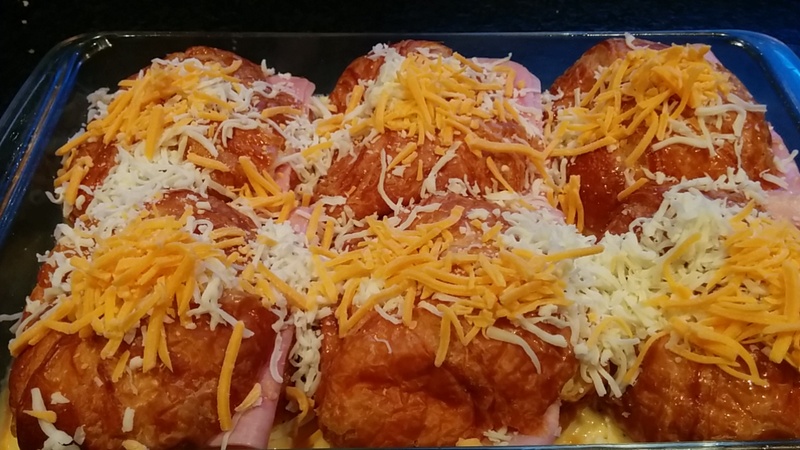 Grab a rotisserie chicken and a can of enchilada sauce, and dinner is almost made. Enchilada sauce has quite a bit of sodium, so you may not need much more in this recipe. Be sure to completely finish the soup before tasting and adding any more salt. You could throw all this in the crock pot and let in cook on low for 6 hours, but really, you can do it on the stove top very quickly. I used a Costco rotisserie chicken for my re-cooked chicken. I love that chicken, I buy one almost every time I go there. It's my basic for my homemade easy chicken stock too. Saute the onions, celery and bell pepper, over medium heat, in the olive oil for about 5 minutes, until they start to soften. Add the enchilada sauce and chicken broth, and increase heat to high. Bring to a boil, then add the chicken, spices and corn. Taste and adjust the seasonings to you liking. Reduce to a simmer, and let cook for another 5-10 minutes. It will thicken slightly as it reduces a bit.